The American Bible Society is an interdenominational, non-profit, donor-supported ministry whose mission is to make accurate and affordable translations of the Bible available to everyone. Founded in New York City in 1816, ABS is dedicated to presenting the Bible in compelling ways so that people can experience life in its fullness through faith in Jesus Christ. ABS is responsible for a number of "firsts": the first Bibles provided to the U.S. military in 1817, the first pocket Bibles for soldiers during the Civil War, and the first Bibles in hotels. The society extends its outreach internationally through the United Bible Societies (UBS), a fellowship of 126 international groups, and was instrumental in founding this global fellowship in the interest of efficiency and making a greater impact. 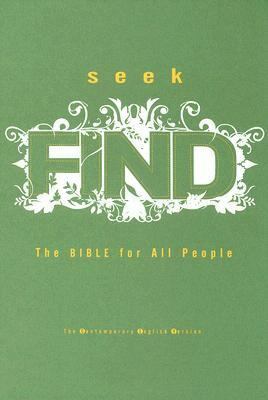 In 1999 alone, more than 63 million copies of the Society's publications were distributed throughout the United States and the world.Praise, Putnam is the author of 'Seek Find The Bible for All People, Contemporary English Version', published 2006 under ISBN 9780399153853 and ISBN 0399153853.